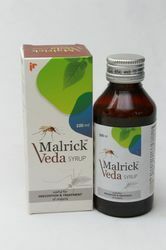 Our range of products include rickpure ayurveda blood purifier syrup, marick- veda antimalarial syrup and livorick ayurvedic liver syrup. Matching up to the ever-changing needs of our customers, we provide clients with the premium quality of Rickpure. Processed by using 100% herbal ingredients at the vendors end, the Rickpure removes acne and act as a natural blood purifier. Useful in beautifying skin and treatment different skin disorders, the Rickpure is sourced from authorized vendors. Liberate skin from infections ! ! Matching up to the ever-changing needs of our customers, we provide clients with the premium quality of Marick-veda Syrup. Processed by using 100% herbal ingredients at the vendors’ end, the Rickpure removes acne and act as a natural blood purifier. 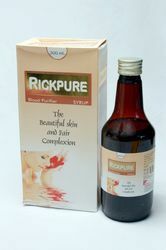 Useful in beautifying skin and treatment different skin disorders, the Rickpure is sourced from authorized vendors. Quinine anti-malarial ayurvedic syrup ! ! As a significant entity of this domain, we provide clients with the best quality of Livorick. Processed by using latest processing equipment at the vendors’ end, the Livorick is used for protection liver against various hepatoxins. Effective for promoting the appetite and growth, the Livorick is used to treat jaundice and fatty liver. 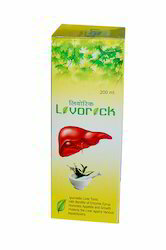 "jackson & Rickson" Proudly Announces " Livorick Syrup " as one of its much highlighted Product emphasising on Liver and its problems. It is an Ayurvedic Liver Tonic with benefits of Enzyme promoting Appetite and Growth.It protects the Liver agains various hepatoxins. This Syrup's prepration recovers loss of Appetite,Hepatotoxicity,and corrects Liver Dysfunnction.Also useful in Jaundice,Fatty Liver,Alcohoic Liver,Anaemia and helps in enhancing digestion power and gets rid off Gastrisis. Children: 1/2 Teaspoon full twice a day. Adults : 2 Teaspoon full twice a day or as directed by a Physician. Looking for Ayurvedic Syrup ?